Minor Peewee Jays are YSBA AAA Champions! 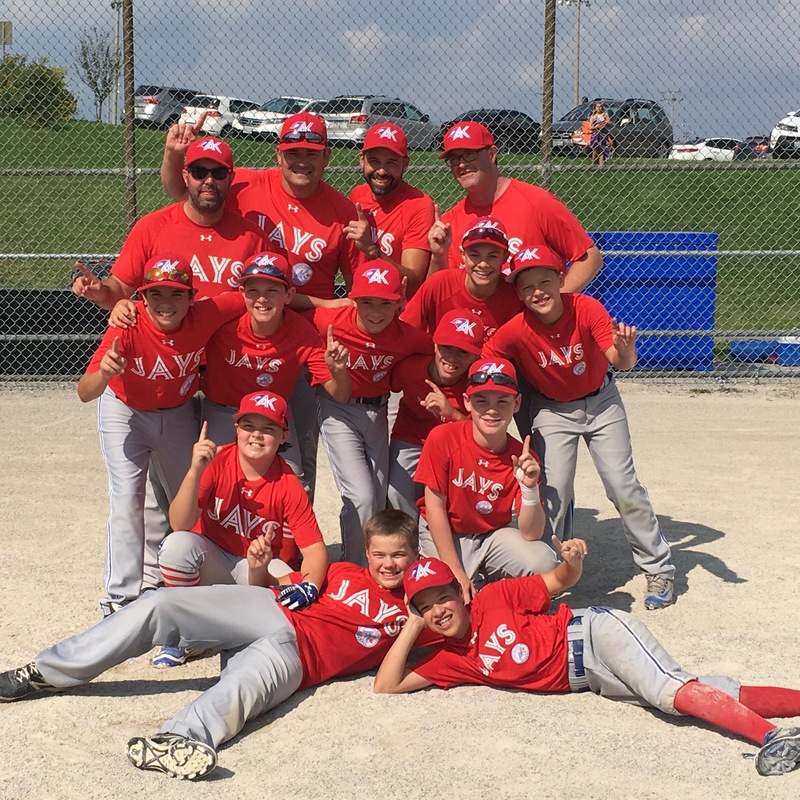 The Aurora King Jays 12U Minor Peewee 'AAA' rep team had a successful August 18-20 playoff weekend, winning the YSBA 'AAA' championship and qualifying for the OBA provincials in Barrie on Labour Day weekend. Five YSBA 'AAA' teams were competing for one provincial spot, with Newmarket, Richmond Hill, Vaughan and Stouffville also in contention. This will be the third straight year that the 2005 team has qualified for provincials: first in 'A' Minor Mosquito two years ago, then in 'AA' Mosquito last year where the team won the provincial championship. The team now gets the chance to compete for the "AAA" provincial championship!